Welcome to the FusionPBX installation guide. 1. Run the following commands as root. The script installs FusionPBX, FreeSWITCH release package and its dependencies, iptables, Fail2ban, NGINX, PHP-FPM and PostgreSQL. Start with a minimal install of Debian 9 with SSH enabled. Paste the following commands in the console window one line at a time. If using Debian on Proxmox LXC containers please run the following BEFORE starting the FusionPBX install. 2. At the end of the install, the script will instruct you to go to the ip address of the server (or domain name) in your web browser to login. The script will also provide a username and secure random password for you to use. This can be changed after you login. The install script builds the fusionpbx database. If you need the database password it is located in /etc/fusionpbx/config.php . Use a web browser to login. The domain name in the browser is used by default as part of the authentication. If you need to login to a different domain then use username@domain. After the install script has completed go to your web browser and login with the information provided by the install script. After the installation script finishes, the option for anything to register to the ip address is ENABLED. 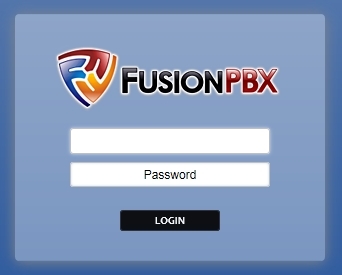 If you plan on registering devices to the FusionPBX ip address then no further action is required. It is however recommended to register to a domain name (FQDN) since most scripted attacks happen to the public ip. Registering to the ip address will be blocked by the fail2ban rules freeswitch-ip and auth-challenge once these rules are set to true. To help secure your FusionPBX installation, enable the fail2ban rules [freeswitch-ip] and [auth-challenge-ip] in /etc/fail2ban/jail.local.